A Gloucester man was so inspired by working for National Star that he jumped out of a plane at more than 10,000 feet to raise money for the charity. 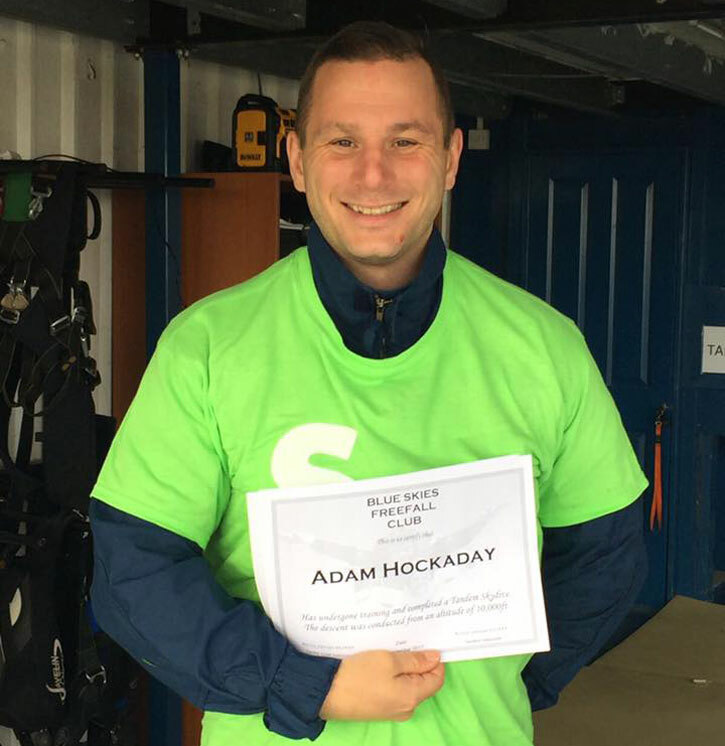 Adam Hockaday had often thought he’d like to do a tandem skydive but working for National Star gave him a reason to make the leap. ‘I joined National Star and have been overwhelmed by what we do here, I wanted to be able to help,’ he said. ‘Doing the skydive was an amazing experience and I highly recommend it. The best bit was free-falling from 10,000 feet – the worst was watching the person in front of you disappear out of the plane before you! Adam, 35, is head of building and site services for National Star. He was one of three members of staff who took part in the challenge. The group, including one woman’s mum, raised almost £1,800 between them. Adam himself raised £871.14 for National Star with his jump.